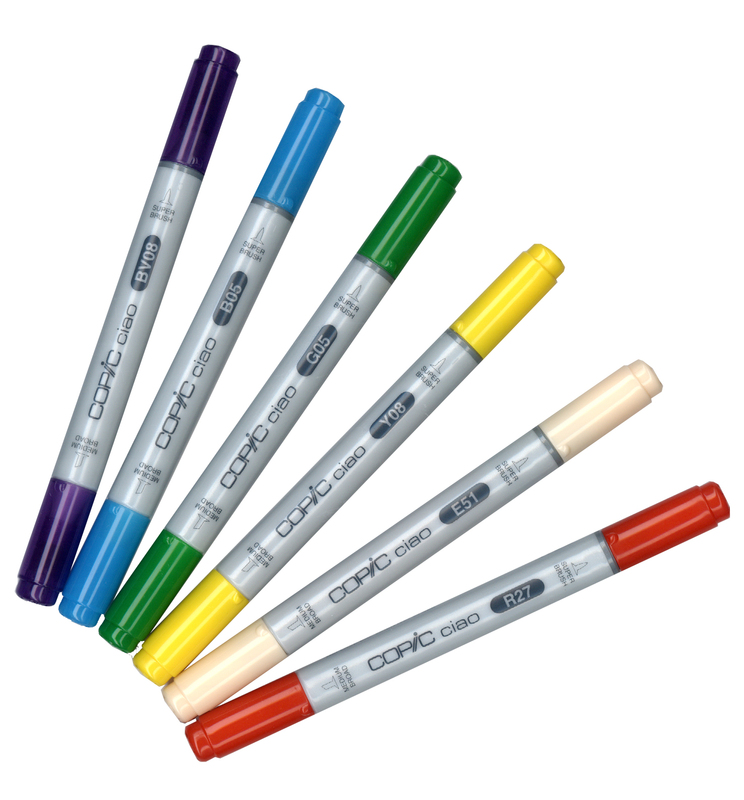 Have you ever used a Copic Ciao marker? They are refillable and have the same great nibs as a Sketch marker, but cost a whole lot less. Ciao markers are an inexpensive way to start your color collection. If you haven't tried them yet, now's your chance! 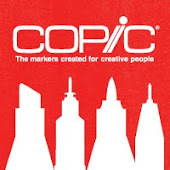 Enter at the Copic Blog for your chance to win a free Ciao marker. We are giving away 100 markers now through the 22nd! Usually I post tutorials on my blog, but I wanted to take a moment to write a little bit about my philosophy on life and art. Some people might sound a little cliché when they say their life IS art. For me, I have been blessed to be creative from the time I was born, I studied creative fields in gradeschool, graduated college with a degree in art, and am happily employed with an art company, while all of my freelance activities center around creating art. My life IS art. And, for those of you who know me, I am a very happy, and fairly relaxed/low-stress person. Is art the reason I am happy and relaxed? I don't know. I can't separate art from any aspect of my life. But, from the basic research I have recently been reading suggests, if I DIDN'T have art, I would most likely not be as happy, relaxed, or low-stress. Just about every research paper I have read so far* has stated that about 30 minutes of art is all it takes to notice significant reduction in stress. I read studies about college students during exam week, dementia patients, people who have anxiety disorders, and many more. In every case, the group which made art, in some form, was better. Older patients required less medication and had fewer medical complaints, college students lowered stress levels, and people were generally better. Some people only did one session, some people met once a week, some people joined clubs or took classes at a local facility. No matter what form of art (music, dance/ theater/performance, creative writing, or visual arts), it helped. I hear people all the time say that art is cheaper than therapy. True! I grew up poor, but we always had a pencil and some paper. That's how we were kept busy. But, what it came down to, is that we had to do something. Mom would not tolerate whining. If you wanted to do something, or become something, then don't just whine about it, take steps to become that! If you want to be happy, truly happy, what are some steps that you can take to make it happen? Take yourself to your happy place and MAKE it happen. I tell the kids I teach art to that I have time to either be a media consumer or a media producer. I don't have as much time to appreciate art because I am too busy making or experimenting with art. That's not to say that I don't love going to galleries and museums, and getting inspiration, but I have a finite amount of time each day, and the only way to get better is to spend a good portion of that time actually producing instead of just appreciating. So, if you hear yourself saying, "Gee, I wish I was an artist." STOP! The only way to become an artist is to BE an artist. Tell yourself you are an artist, then, spend some time each day producing art. But you have to start today! This year we were given a piano. I have never had a piano, I have always wanted one. I took a few months of a beginning piano class YEARS ago (I could find middle C and figure out from there, sort of), but I never thought of myself as someone who could do music. Having a piano, meant I wanted my young daughter to take piano lessons. In chatting with the piano tuner, I found out he always wished he could have studied art, so we traded lessons for our small children. I teach them art, and he teaches my daughter piano. I am NOT taking lessons from him, I really don't have time to commit to a regular schedule. But, I had a desire to learn for myself (more than just Mary Had a Little Lamb). So I started, on my own, with a simple piano book, and now I can plunk out many songs. I found that with practice, I can now decipher music! Conversely, the piano teacher's wife, is showing some real aptitude for drawing, even though she isn't doing the art lessons with the kids, she is listening, and taking the time to practice and observe. Am I ready to play for a church congregation? No. Am I embarrassed that I miss a lot of notes? NO! I know that I am learning, and I know that if I just keep it up, maybe in a few years I will be ready to play something greater, with a whole lot more sharps and flats. But that's not my driving goal. My goal is that I have always wanted do it, so I am doing it! And, I feel better inside and I see that I am better now than I was 5 months ago when I started. My parents were schoolteachers. About half my siblings and spouses are schoolteachers. I wished I could have been an art teacher, but those are an endangered species these days, so I became a graphic designer and teach on the side. Teaching is a key part of my happiness as well. Why do people teach? Something about helping others find new things in themselves brings a deep inner satisfaction. Also, it has been said that the teacher learns more than the students when they prepare lessons. I find both statements to be true. I learn so much more when I get organized to teach something to someone else, and it fills me with happiness when I see a student of any age "get it"...whatever the concept is. If you want to be a better artist (musician, dancer, jewelry maker, seamstress, baker, etc. ), offer to teach a group of kids/beginners that same skill. They won't judge you for how much you do or don't know, and your mind will be expanded as you prepare for the lesson. I actually have offered to teach classes that I knew nothing about, knowing that this would give me a great opportunity to learn for myself. I have never regretted those opportunities, rather, I am thrilled that I got those chances to learn more for myself. 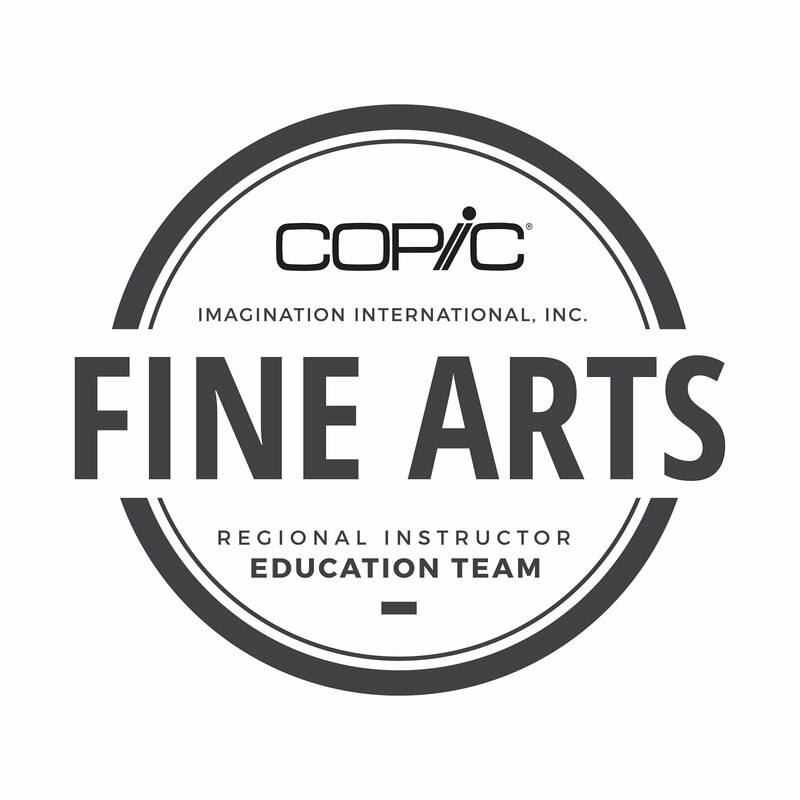 I feel blessed every day that I work for Copic/Imagination International here in the USA. Our company was organized by a former art professor, so art education is very important to our entire business structure. We want people to learn, because it makes them happier end users. We see how people have improved self-esteem as they learn a new skill, we see how excited they are when they have a completed work of art, and we see how they get fired up and tell their friends. That's what art is about! Personal growth and what it can do to improve your personal sense of wellbeing. I want you to take a moment and look at your art process. Not at the end product, but at how you get there. How can you become more, and how can you help others achieve their goals? Sometimes all it takes is a kind word, or a shared idea, or if you are confident, teaching a class on a new concept. Then, YOU will become part of their process to relieve stress, lower anxiety, live longer, and have better memory. That will help you achieve your happiness goals, and relieve stress, live longer, and have better memory...see? When you help others, it helps you as well! So, start today. Make a goal to spend 30 min. a day, or week, or month, or whatever. Be creative. Improve yourself. Help others improve. I can validate, firsthand, that you will be a happier person, and more importantly, you will actively be working to become what you want to be. *I can't site all my sources...just run a google search on "Art Therapy, memory" or "Art therapy, stress" and you'll find all sorts of great stuff. I read at least 15 different articles, but I'm not claiming to be accurate in my research. I'm just writing my own opinion on all the stuff I've been reading. At the end of this month I will be teaching a Standard and Intermediate Certification class in Salt Lake City, UT. I don't teach many certifications anymore, so if you would like to come to one of my classes, please register now! The Intermediate class is almost full, but there are still some spaces in my Standard certification class. 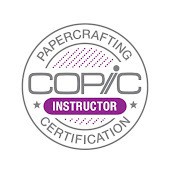 While these classes are geared to papercrafters, I welcome anyone who would like to learn more about Copic markers! If I know that you are interested in comics, manga, or fine art applications, I am happy to spend a few minutes with you, going over specific information for your end use. The Intermediate class is great for people who want to think more like an artist, but have not taken many/any art classes. We discuss highlights, shadows, coloring things to make them appear to be in the distance, and techniques for coloring faces...all using Copic markers. Don't wait until the classes fill! Register now! June 1, Salt Lake City, UT taught by Marianne Walker Almost Full!! For details on these classes and other certification classes around the country, please visit our website. Also, if you have one of my books, you are welcome to bring those to a class and I will be happy to autograph them! (look on the right sidebar of this blog for a list of books I have authored or co-authored). I can't wait to see you in Salt Lake City! !